New EdTech Tools is a section we created in our blog to share with our readers new educational web tools and mobile apps and keep them updated about the latest releases in the world of educational technology. For today's post we are featuring 7 good applications we think might be of some interest to you as teachers and educators. We invite you to check them out and share with your colleagues. 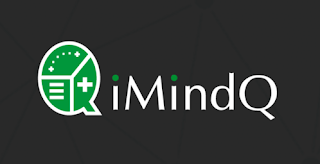 iMindQ is a mind mapping solution, which offers a virtual whiteboard space, where you can organize and present your ideas using mind maps, concept maps and flowcharts. It is a great tool for studying, teaching and brainstorming, and helps educators and students to increase productivity and achieve greater creativity. iMindQ is available for Windows, Mac, iOS, Android and as Online version. What is interesting about iMindQ for Education, is that it offers a new way to conceive ideas, and share them through interactive HTML mind maps, and also quickly present ideas with a single click. Kickresume an online resume builder which helped more than 400K to create perfect resume. I would like to offer you our new program Kickresume for Education. We simply give all students our premium account for 3 months for free. Main idea is to teach students how to create perfect resume and land a job or internship. I think that it can be really great opportunity for your students. We have several universities from US and Europe which are using Kickresume for free. Slidecamp is an online platform that provides you with a library of PowerPoint slides and also helps with ideas to help you structure your thoughts and create engaging presentations. NextHub revolves around topic-centered communities called hubs. Hubs are publisher-driven and as a user you join the hubs you find interesting. Engage and interact with others who share your interest or just hang out and stay on top of the latest news, videos and photos. Anchor is a free iPhone app that makes it easy to broadcast short audio clips to a global audience in seconds. 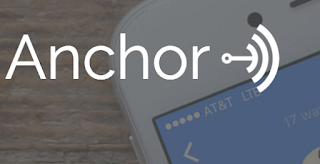 Your listeners can talk back, sparking instant group conversations that were never before possible. When not recording, listen to authentic humor, knowledge, inspiration, and debate from Anchor’s global collective of personality. Wiffinity is an app that allows you to find and connect easily to WIFI locations worldwide while traveling and helping you forget about roaming charges. Sortd transforms your email into organized lists. It brings your email conversations, your tasks and your priorities together in one intuitive workspace, and works right inside Gmail!